Development of advanced robotics is one of the major technology trends that have an intense and progressive impact on society. Robots or automated material handling equipment are now working together with factory and warehouse employees to assemble and distribute goods across the globe with higher quality and at lower cost. Material handling and logistic cost of goods are expensive operations which involve of 10% to 80% product cost and this fraction is likely to increase for inexpensive products. Physical distribution or movement of goods from manufacturing plant to customer alone accounts for 25% of the product cost, which is the major factor the adoption of cost effective and efficient automated material handling equipment to ensure the quick and high productive material handling operations. Goldstein Research analyst forecast the global automated material handling equipment market to expand at a CAGR of 8.2% during the forecast period 2016-2024. The demand for automated material handling equipment in various industries around the world reached USD 24.6 billion in 2016, which is likely to reach USD 46.1 billion by the end of the forecast period. The report covers the present ground scenario and the future growth prospects of the automated material handling equipment market for 2016-2024 along with the total revenue of automated material handling equipment industry in every region. We calculated the market size and revenue share on the basis of revenue generated per segment, regional and country level. The revenue forecast is given on the basis of number of automated material handling Equipment manufacturers and current growth rate of the market. Based on end users, manufacturing sector accounted for the largest revenue of about 40% in global automated material handling equipment market in 2016. Moreover, amplified demand for efficient warehouse and logistic operations in e-commerce industry, the e-commerce segment is anticipated to account for the highest growth rate over the forecast period. Global Automated Material Handling Equipment Market Outlook 2016-2024, has been prepared based on an in-depth market analysis from industry experts. The report covers the competitive landscape and current position of major players in the global automated material handling equipment market. The report also includes porter’s five force model, SWOT analysis, company profiling, business strategies of market players and their business models. Global automated material handling equipment market report also recognizes value chain analysis to understand the cost differentiation to provide competitive advantage to the existing and new entry players. 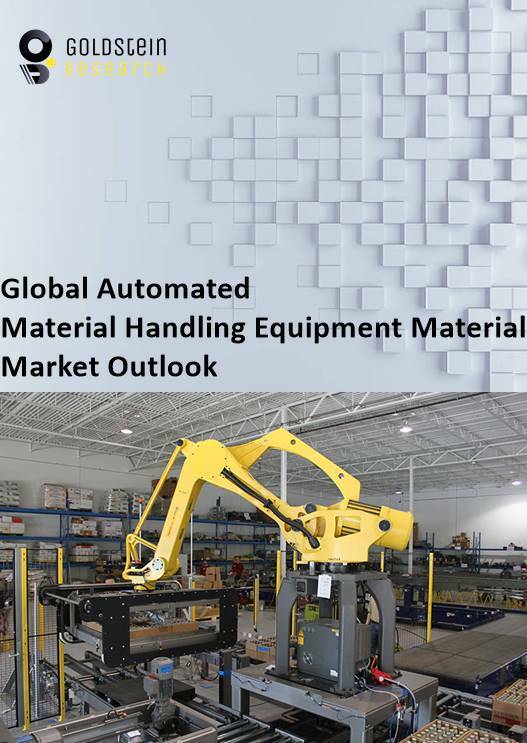 Our global automated material handling equipment market report comprises of the following companies as the key players in the global automated material handling equipment market: Daifuku Co., Ltd., SSI Schaefer, Hyster-Yale Material Handling, Inc., Jungheinrich AG, KION Group AG, Toyota Industries Corporation, Vanderlande Industries, Avancon SA, and iFuture Robotics Private Ltd. According to our global automated material handling equipment market study on the basis of extensive primary and secondary research, one major trend in the market is recent and dramatic expansion in the development of robots for use in warehouses, predominantly those serving the rapidly growing e-commerce industry. For instance, Amazon established the use of automated material handling equipment and robotics in its e-commerce warehouses in U.S with Kiva robots. It acquired the Kiva Robotics, company in 2012 and drew the products from open sale, eliciting a boom in development activity to fill the gap in the market. At present, many companies in the USA, Europe and Asia have since been set up to exploit this huge opportunity and now manufacture automated material handling equipment for use in warehouse and logistic operations across the globe. According to the report, major driver in global automated material handling equipment market is constantly growing demand for automated material handling equipment as companies derive more and more worth from cost-cutting and labor-reduction. As sensor technologies advance and the capability to harness and investigate big data becomes more feasible in real time, the limits of operational efficiency in manufacturing, processing, material handling and logistics industries will continue to be pushed. Further, the report states that one challenge in global automated material handling equipment market is to maintain the correct degree of control as the correct amount of control depends upon the culture of the organization and the employees who manage and execute material handling operations. Geographically, Asia Pacific region accounted for the largest market share of more than 35% revenue in global automated material handling equipment market. Growing manufacturing units in countries like India and China will augment the application of such equipment over the next few years. The Asia Pacific region is projected to grow at a CAGR of around +10% during the forecast period. On the other hand, Europe is closely followed by the Asia Pacific region, which occupied about 28% of the market share owing to presence of big automotive industry players and huge automobile production in the region. What is the total market size by 2024 and what would be the expected growth rate of sales?